Founded in 1987 by Jeff Leverman, Leverman Roofing is focused on a commitment to roofing excellence, a customer first mentality and quality workmanship that consumers can be proud of. 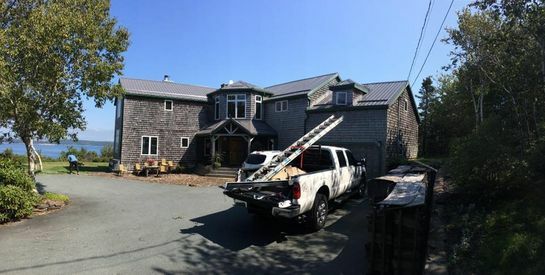 Specializing in asphalt, steel and flat roofs for residential and commercial customers, we also offer additional services, such as masonry and eavestrough installation and repairs throughout Halifax Regional Municipality, Truro and the surrounding areas of Nova Scotia. We are certified as a GAF Master Elite® contractor and have earned an A+ accreditation from the Better Business Bureau. The quality of our workmanship is unsurpassed and our prices are competitive. Contact us today for all of your roofing and construction needs.